The Radiological Society of North America’s (RSNA) 2018 conference continued its theme of artificial intelligence (AI) for the second year in a row, partnered with enterprise imaging. Both were a recurring theme this year in sessions and throughout the expo floor. How machine learning will impact medical imaging was the key takeaway from the opening session, where examples of how AI will alter medical imaging in the near future were highlighted. One of the trends seen on the floor was a movement toward AI app stores where these start-up companies can offer their wares through a larger vendor and provide a single point of contracts and IT integration for hospitals. 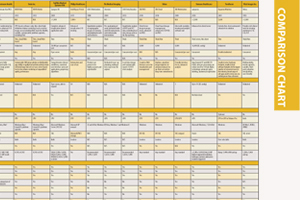 In this issue, ITN has created its inaugural version of the artificial intelligence comparison chart. As this is our first go-round with this chart, we are open to your ideas and suggestions on how to improve on its content to better serve your needs. You can find the chart beginning on page 15 of this issue. ITN will continue to cover AI in future issues, keeping pace with its rapid growth.